What Was the First Network Recap Special? There are so many aspects of TV history that interest me. The history of the “recap special” is really not one of them. I don’t even know why I started thinking about recap specials (again) a few weeks ago. I make a lot of lists. One of my lists is a list of recap specials. I started it last year and never made much progress. There is no definitive term for what I call recap specials. They can also be called reviews, retrospectives, or clip shows. These are the sort of specials you sort of have to remember watching to know about. It’s not an easy topic to research. It’s possible that the first recap special aired in September 1977 on ABC but perhaps there are earlier examples. What Is a Recap Special? Put simply, a recap special is a special episode of a TV show designed to catch viewers up on what took place during earlier episodes. To be clear, I’m using the term recap special to differentiate this sort of special from clip shows that incorporate scenes from earlier episodes. Usually these clip shows feature a very weak story line that explains the clips as memories or dream sequences. 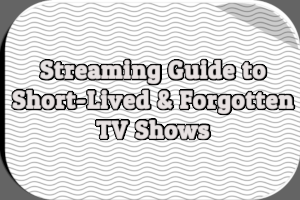 Examples include I Love Lucy‘s “I Love Lucy Christmas Show” (1956), M*A*S*H‘s “Our Finest Hour” (1978), and Star Trek: The Next Generation‘s “Shades of Grey” (1988). Most TV viewers are familiar with clip shows. Most TV viewers hate them. Recap specials may take the form of clip shows but they don’t have to. They’re not all that common, either, although in the past decade or so ABC has made good use of them. ABC’s four Soap recap specials were in fact clip shows. They had framing sequences and in some cases guest stars. Bea Arthur made an appearance in one. But they were clearly intended to catch viewers up on past episodes. The first of these recap specials aired on December 20th, 1977 in the show’s regular 10-11PM ET time slot. It offered viewers an overview of the first 13 episodes of the series. Jessica (played by Katherine Helmond) and Benson (played by Robert Guillaume) run through all of possible suspects in the murder of another character the previous week. 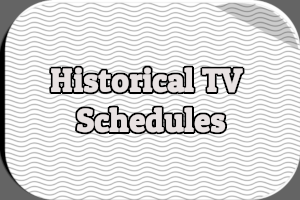 The next three Soap recap specials aired prior to the start of each new season from 1978 to 1980. All were 90 minutes long and each recapped the entire previous season for the benefit of both new and returning viewers. The specials aired on August 31st, 1978; August 30th, 1979; and October 29th, 1980. Columbia House released the 1978 and 1980 specials on VHS in the 1990s. Contemporary TV listings referred to these specials as retrospectives. Cliffhangers was the umbrella title for three unrelated 20-minute programs modeled after movie serials of the 1930s: The Curse of Dracula, Stop Susan Williams, and The Secret Empire. A new chapter of each serial aired during each hour-long episode. The series premiered on Tuesday, February 27th, 1979 on NBC. Almost exactly a month later, the network aired an hour-long recap special titled “The Curse of Dracula” on Saturday, March 24th, 1979 from 8-9PM ET. It featured scenes from the first four episodes (or “chapters”) of Cliffhangers: The Curse of Dracula. It’s unknown whether there was a framing sequence or narration. It’s perhaps not surprising that FOX opted to devote a recap special to its cult hit. What is surprising is the network waiting until the second season to do so. “Secrets of the X-Files” aired from 8-9PM on Friday, May 19th, 1995 just before the second season finale of The X-Files. It included scenes from the first two seasons of the series. 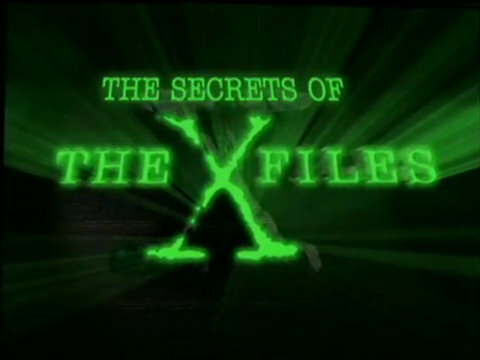 “The Secrets of The X-Files” aired May 19th, 1995 on FOX. A similar special (“More Secrets of The X-Files”) aired on Saturday, May 10th, 1996 two days before the third season finale. Both specials were released on DVD as bonus features on the Season 9 DVD set. In April 2005, ABC aired hour-long recap specials for two of its freshman dramas: Lost and Desperate Housewives. 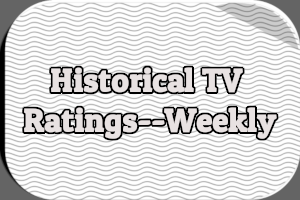 Both shows were breakout hits with increasingly complex storylines–particularly Lost. ABC aired recap specials for both shows during the last week of April. The specials were broadcast in the regular time slot for each show. Both were shown the week prior to the final four episodes of the season began airing. The Desperate Housewives special (“Sorting Out The Dirty Laundry”) aired on Sunday, April 24th, 2005 from 9-10PM ET. The Lost special (“Lost: The Journey”) aired on Wednesday, April 27th, 2005 from 8-9PM ET. ABC began streaming the specials on ABC.com the day after they aired. 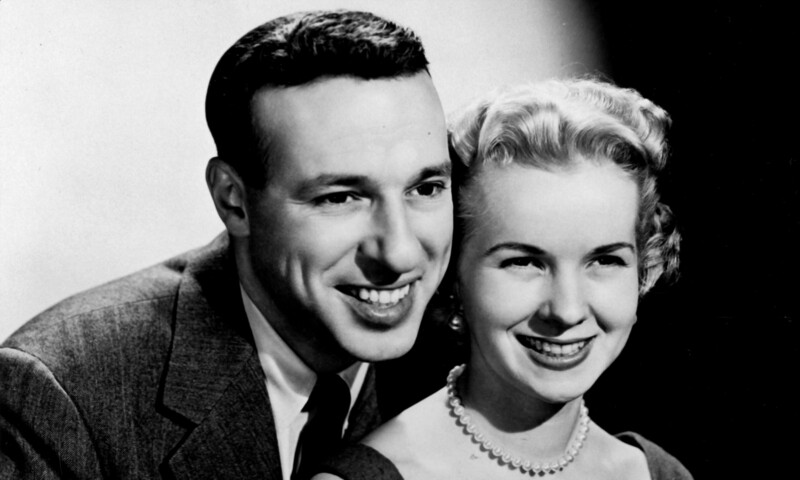 It was the first time the network streamed prime time programs in their entirety. Five additional recap specials for Desperate Housewives aired on ABC between 2006 and 2007. A dozen additional Lost recap specials aired on ABC between 2005 and 2010. Some may not have been proper recap specials. The last (“Lost: The Final Journey”) was more of a retrospective. Lost and Desperate Housewives weren’t the only ABC shows to get recap specials. Several Grey’s Anatomy recap specials aired in 2006 and 2007. At least seven Once Upon a Time recap specials have aired so far. The most recent aired just before the Season 6 premiere a few weeks ago. ABC also aired recap specials for V and Flash Forward in March 2010. The V recap featured scenes from just four episodes. A Nashville recap aired n January 2012. A Revenge recap aired in September 2012. A handful of recap specials for CBS dramas have aired over the past decade. A Jericho special aired in February 2007. 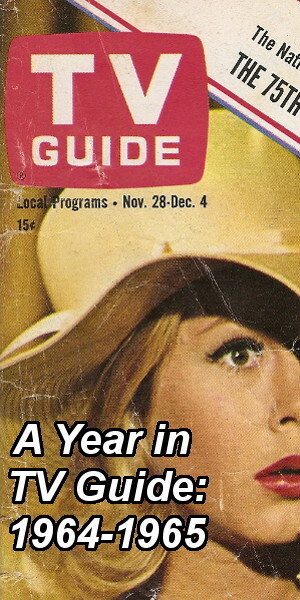 The Good Wife got a recap special in September 2011. Even summer hit Under the Dome got a recap special in June 2014 prior to the start of its second season. Not all recap specials air on network TV. Back in 2005, half-hour specials for Lost and Desperate Housewives were offered to ABC affiliates. I believe these were edited versions of hour-long specials seen on ABC. 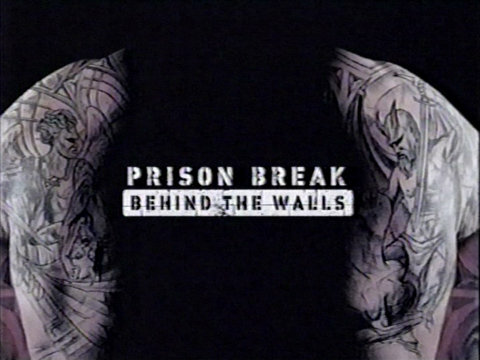 FOX gave its affiliates the opportunity to air a 30-minute Prison Break recap special (“Prison Break: Behind the Walls”) in October 2005. I believe a second Prison Break special (“Prison Break: The Road to Freedom”) aired on some FOX affiliates in January 2007. “Prison Break: Behind the Walls” aired on FOX affiliates in October 2008. Last fall, I stumbled across a recap special for Empire (“Empire Season 2: Game On”) on my local FOX affiliate. This was either August or September 2015. My local NBC affiliate aired a recap special for The Blacklist (“Behind the Blacklist: Season 3”) around the same time. Hit the comments with your thoughts. Do you remember watching any recap specials prior to the first Soap special on ABC in September 1977? Did any air in the 1980s? I would think the first recap specials would have been clip episodes. We didn’t really have serialized stories until the mini-series came along. Usually a few minutes during a fall preview special would be enough. Would a recap for Lucy or The Honeymooners really be necessary? And remember that TV use to run a season of reruns during the summer months, so what happened last season for some was what happened in last week’s rerun episode. I do recall a few recap specials running instead of fall preview specials. It does seem that many stemmed from the preview specials. I don’t know of any before Soap, but I can think of one example: CBS aired multiple Survivor recap specials over the years. For the Fall seasons, this would usually air the night of or before Thanksgiving. In the Spring, these would usually run on a Wednesday night before CBS’ coverage of the NCAA Basketball Tournament. I don’t know if they currently do this, but in the first decade of the show, you could count of them to run 2 a year. MyNetworkTV compiled weekly recap specials for its telenovella series when it launched its broadcast network in September 2006. The first two series, ‘Desire’ and ‘Fashion House’, aired weeknights at 8 pm and 9 pm, and there was a weekly recap of each series on Saturday nights at 8 pm and 9 pm. When MyNetworkTV launched its second set of telenovellas, ‘Wicked Wicked Games’ and ‘Watch Over Me’, it suspended the weekly recap specials (which drew weak ratings) and replaced it on February 3, 2007 with ‘My Saturday Night Movie’ being the broadcast premiere of the 1986 feature film SOMETHING WILD. Recap specials have been used sporadically by the other mininets (WB, UPN, CW)…didn’t ‘Buffy the Vampire Slayer’ and ‘Roswell’ do recap specials when they jumped over from WB to UPN? The only pre-‘Soap’ recap special that I remember was for ‘Peyton Place’. 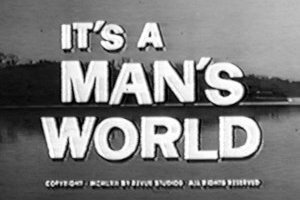 I could have swore it was part of the original ABC run, but I think it may have been a primetime special that NBC ran prior to re-booting the series as ‘Return to Peyton Place’ as part of its daytime lineup of soaps, gamers and sitcom encores in the early ’70s. This was a clip show that presented the clips by cast members who were relating their past from the far-off year of 2040. The premise was that the Jump Street program needed to be rebooted for a new generation, and the original cops were asked to relate stories from their past. All the cast members were in aging makeup, occasionally throwing in random tidbits about the future (like the NFL becoming a worldwide operation) as they looked “back” to the 1980s, it showed a lot more thought and care than most compilation shows from the time. February 24th, 1979 fell on Saturday, not Sunday, and May 10th, 1996 fell on Friday, not Saturday. In May 2000, ABC aired a look behind the scenes of WHO WANTS TO BE A MILLIONAIRE, which included a lot of clips of past episodes. ABC aired this special partially to promote an upcoming tournament of its highest dollar winners.